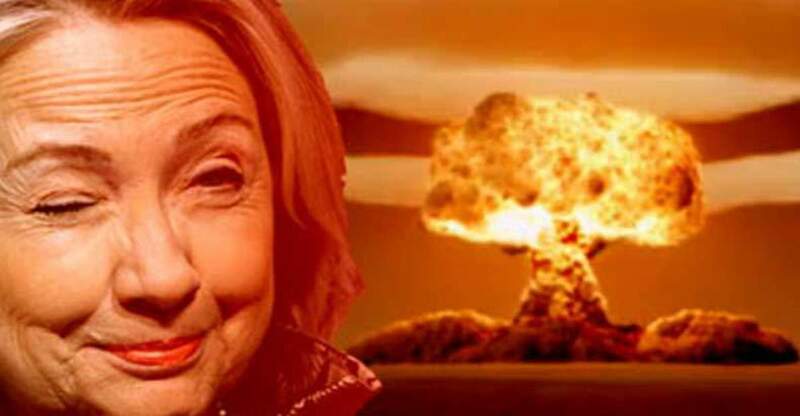 The biggest fireworks on New Year’s Eve weren’t any glowing in the night sky above millions of giddy revelers worldwide, but instead came tucked away in another batch of Hillary’s infamous emails made public — and the contents are so explosive, she could be charged with war crimes. Buried in the former Secretary of State’s emails are evidence of extrajudicial killings by U.S.-allied rebels, the embedding of al-Qaeda affiliated fighters amongst those same rebel forces, and even substantiation that Western motives for warring with Libya had more to do with gold, silver, and oil than anything else. Most crucially, because this evidence was presented in emails addressed to Clinton, the Secretary knew all of this — but did nothing to sound the alarm. Amnesty International discovered the rebel and militia groups had tortured and abused prisoners in ten of the eleven facilities they operated in after the downfall of the regime left virtually no police or military. These very militias had long been rumored to be infiltrated by al-Qaeda — but as the same email revealed, there were “continuing reports that radical/terrorist groups such as the Libyan Fighting Groups and Al Qa’ida in the Islamic Maghreb (AQIM) are infiltrating the [transitional government] and its military command.” In spite of this, an impressive list of weaponry, including tanks, antiaircraft batteries, and a “seemingly endless supply of AK-47 assault rifles and ammunition”, were reaching rebels thanks to the oversight of U.S.-allied forces, as shown above. On the subject of the oft-debated gold, an email dated April 2, 2011, stated sensitive sources with ties to Gaddafi claimed the government possessed “143 tons of gold, and a similar amount in silver. All of this information, sent via Clinton’s unofficial and non-secure personal email account, could have been technically available to anyone with the help of a hacker. Revelations of her prior knowledge — especially concerning the extrajudicial killings by rebels backed by the U.S. and its allies — cannot be overemphasized.